Please select options for C&L Cold Air Intake (15-17 V6) at the top of this page. Hey guys, Stephanie with americanmuscle.com here with my review of the C&L cold air intake available for the 2015 and up V6 Mustang. This C&L cold air intake is going to be for the S550 V6 owners out there who are looking for a closed element cold air intake that also keeps the direct cold air feed that Ford has created from factory. 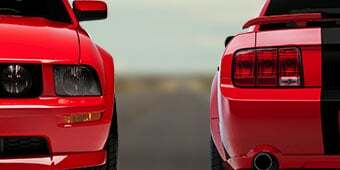 A cold air intake is normally one of the first mods that many Mustang owners go to, but there are many different types of cold air intakes on the market. The C&L right here is an option that brings benefits besides just pure number gains to the table without requiring a tune. Speaking of gains, let's break the numbers down first before getting into the intake. We already ran a baseline run and got some numbers in the book, so we're going to run the car again with the C&L installed. Now we did pair a 93 octane Bama Performance tune with the intake even though the intake does not require a tune. But we wanted to see the full power potential that the intake has. A cold air intake by itself will only net a few horsepower at the end of the day, and we're talking single digits here. 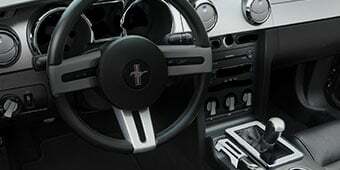 So even if an aftermarket intake does not necessarily require a tune, we always recommend a tune if you're looking for any gains or improvements from your Mustang. Our baseline run with our 2015 V6 gave us numbers of 241 horsepower and 235 foot-pounds of torque at the rear wheels. With the C&L intake and the 93 octane Bama Performance tune, the car made 260 horsepower and 250 foot-pounds of torque making for a peak gain of 19 horsepower and 15 foot-pounds of torque. Now keep in mind that we did pair the intake with a tune, so a lot of these gains can definitely be attributed to that tune. Peak gains are always nice to know, but the real thing I look for is differences throughout the curve or in your driving RPMs, which is where you're actually going to notice performance gains when you're driving. And throughout the curve, we're seeing gains of 22 horsepower in the 6100 RPM range and 22 foot-pounds of torque right in the 3600 RPM range. Having this low end torque gain is something that you're actually going to feel as you're going through the gears. You'll get up to speed faster and you'll go through the gears a lot faster too. So overall what we've seen from this intake on the Dyno here is some of the lowest intake air temps out of the aftermarket cold air intakes for the V6. And that can be attributed to the sealed air box, which I'll talk about in a minute. We've also seen that it really makes power up top where the factory air intake system and filter become restrictive. Like I said before, you're only going to see gains of two to three horsepower without a tune, but just keep in mind that the more you mod your car, the more restrictive the factory air intake will become. Now like I just said, also keep in mind that a lot of the gains that we're seeing are due to the tune that we paired with the intake. If we take a closer look at the C&L itself, it's first off a popular intake on the site and one that's going to come in at the top of the line in regards to price at right around $400, but also in quality and fitment as well. This intake has one of the best fit and finishes that I've seen for the S550 V6. And all of C&L's products are built and tested in the USA, which is just something that I like to point out. But looking at the specifics here, this does include a reusable filter that you can easily wash and re-oil when it gets a little dirty, and it's a pretty good sized air filter too. I would definitely say that the air filter is on the bigger side of the filters and the intake piping is also larger than piping that I've seen for aftermarket S550 cold air intakes. The intake also has a rotomolded plastic construction throughout, including the intake tube, which will give smooth air delivery to the engine. One of the big things that I wanted to point out with this intake though, is the housing here. First of all, it's enclosed, which you're only going to see from the other option of AIRAID right now. It has a plexiglass lid that's removable, so you can get to the filter easily or see without having to take the air box apart. The enclosed air box is going to protect the filter from elements within the engine compartment as well as help keep warm air from inside the compartment from being used by the engine. And like I mentioned before, this technique works. We saw some of the lowest intake air temps on the Dyno with this intake. This leads me to the other cool thing about the housing and that's that it taps into the factory cold air duct, which brings cool air in from the grille instead of using warm engine compartment air. This is a really nice feature in my opinion and it gives this intake a benefit that you don't see from many other aftermarket intakes for the S550 V6s. And like I mentioned earlier, this particular intake does not require a tune, which means that you can just bolt it on and go if you want to. But if you're looking for gains and improvements in driveability, then just know that any improvements that you'll see from the intake can be greatly amplified by running a tune just as a side note. When it comes to price, this is an intake that's at the top of the line when it comes to both fit and finish and design. It provides good power gains when paired with a tune, it's an enclosed air box style and it utilizes the cold air feed from outside of the car. With all of this being said, this intake is one of the most expensive that's available and it costs between $350 and $400. As for the install, it's nothing too difficult and the intake will come with all of the items that you'll need including clamps, couplers and hardware. All that you really need to complete the install is a 10 mil, a flat head for the plastic pins and some pliers to remove the hose clamps. This is probably one of the easier mods that you can tackle with your new Mustang and it'll probably take about a half hour to an hour tops, and I'm going to call it a one out of three wrenches on our scale. At the start of the install, disconnect the breather hoses from the inlet tube. Remove the 10 millimeter bolt on the air box that holds it to the inner fender and detach the air box from the lower inlet tube on the side of the rad as you take out the air box. Loosen the clamps on the inlet tube at the throttle body and the air box and then remove the inlet tube. Then you're going to want to ready your new air box by installing the filter adapter. Next, install the aluminum fittings for the air hoses into the intake tube. Then you're ready to install the air box into the car starting with the air duct sliding into the factory location, and reinstall the factory bolt to hold it down. Once the air box is in and bolted down, slide the coupler onto the adapter on the air box. Then slide the other coupler onto the throttle body. Just make sure that you can get to all of the clamps to tighten them down, but leave everything loose for now. Install the inlet tube onto the coupler on the throttle body and then onto the air filter coupler. Tighten down the clamps so everything is tight and connect the vacuum hoses to the inlet tube. All that's left then is just the filter itself, which just drops in. And tighten up the clamp, and then install the air box and tighten it down. Wrapping things up here, I think the C&L intake is a well built intake that works with an enclosed air box and taps into the cold air duct that Ford has provided for the intake. It fits well and has a decent sized reusable filter and does not require a tune. 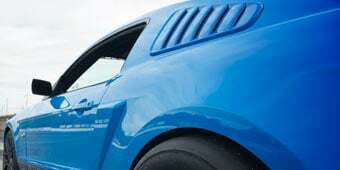 You can check this intake out more online for yourself, and for all things Mustang, keep it right here at americanmuscle.com. Maximum Airflow For More Power. Improve the horsepower, torque and fuel efficiency of your S550 3.7L V6 Mustang by replacing the restrictive factory air box and paper filter element with a C&L Performance high flow intake tube and filter assembly to increase air flow. C&L intakes are dyno tuned and tested for maximum performance and efficiency. No Tune Required. This C&L Performance Cold Air Intake is designed to improve the performance of your 3.7L V6 powered Pony without the need of reprogramming your Mustang computer. By utilizing state of the art computer-aided designs this C&L Intake will increase power using the factory tune. Application. This C&L Performance Cold Air Intake System is specifically designed to fit the 2015-2017 Mustangs equipped with the 3.7L Ti-VCT V6 engine. 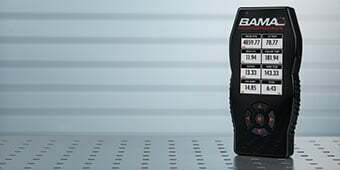 I just recently purchased this product, since I am in CA how can I get a CARB sticker for this so I can pass smog? 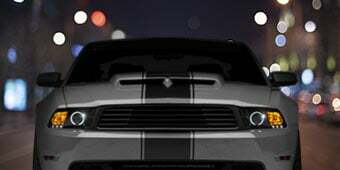 If you could perhaps send us an email at 'Support@AmericanMuscle.com' with your order information for the intake, we can certainly make the necessary arrangements for the C.A.R.B Label. Is this part street legal in California? cant seem to find instructions on how to clean the filter. any heads up on how to do it? 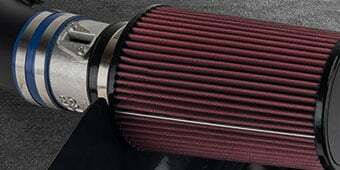 The C&L Cold Air Intake's filter can be cleaned running the filter under warm water to wash off the debris, and then re-oiled with an air filter oil after the filter has completely air dried. For a deeper clean, we would highly recommend using an air filter cleaner, which is usually offered at a local auto-parts store as a bundle for a cleaner and oil. Depending on the manufacture, the instructions may vary, however, as general rule of thumb for cleaning, would be as follows: 1. Spray the filter with a cleanser from a recharging or cleaning kit. Allow it to soak for 10 minutes (don’t allow the cleanser to dry on the filter). 2. Rinse the cleaning solution off with low-pressure water. Move the filter up and down in the water stream to loosen and remove all debris.Gently shake off any excess water and allow the air filter to dry naturally. 3. Wait until the air filter is completely dry to apply oil.Using the filter oil from your cleaning kit, apply the oil all over the filter. Wipe up any extra oil and let it sit to absorb. (The oil goes a long way, so less is more). Can I dry the intake with a blow dryer on low flow/ cold air? We would not recommend using a blow dryer to speed up the drying process, as it can shrink the filter material. The C&L Cold Air Intake will not fit with a Procharger kit installed. The C&L Cold Air Intake does not require a tune. If a tune is set up for 93 octane fuel, a lower octane should not be used as this can lead to detonation, and engine damage. Both the C&L and the Roush intakes are top of the line intakes. However both of which will not really increase the sound of your car. You will be able to hear a small swoosh sound when getting on the gas from extra air coming into your motor which will be about the same sound fo any intake. C&L Cold Air Intake does not require a tune. 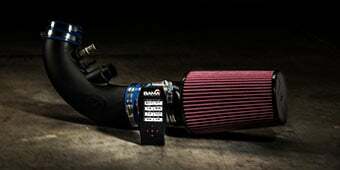 The C&L Cold Air Intake features an intake tube diameter of approximately 6.5". The C&L Cold Air Intake will still provide horsepower gains without a tune. However, gains vary based on many conditions, and cannot be universally estimated. It does not look like we offer a C&L cold air intake with a dry filter for the 15+ V6. The sounds of this C&L cold air intake is very similar to that of the roush CAI, not to much of a difference there. The C&L Cold Air Intake will sound very good, but slightly more sedated than the Roush Cold Air Intake due to its fully enclosed air box design. 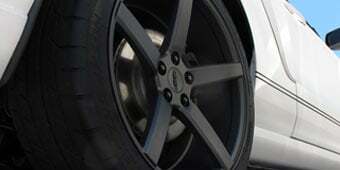 The horsepower numbers will vary depending on which tune you will run on your vehicle. You will be able to see baseline gains of around 20-25 RWHP depending on the tune and other modifications done to your vehicle. The C&L Cold Air Intake comes with a clear air box window. This is shipped with a white plastic film for shipping. once you peel this off the clear window can be installed with the metal part. Easy Install, I have it without a tune and I still noticed minimal power gains however the car does sound better. The glass case really makes for a clean finished look. Great Product. Had trouble with connecting w/ throttle. But overall. GREAT UPGRADE!!!! Noticeable improvement in driveabillity Would have given 5 stars but hole alignment was off on intake cover and need to be opened up for screws to fit Other then that really happy with product. This thing looks great and performs better than stock. I picked this one over all the other aftermarket intakes because it is an inclosed box and not open so it doesn’t take in as much of the heat from under the hood. Bought this along with a tune and I 100 recommend it. 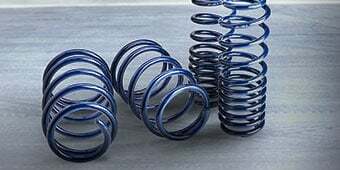 It's spend less than 1 hours, its very good for your car. This kit has very little instructions, but was still fairly easy to follow along to install. The hardest part was simply fitting rubber parts over other plastic or metal parts, but this still shouldn't take more than an hour or two. Even still, the sound and (possibly power) that this cold air intake turns out has me grinning every time I step on the gas. Definitely worth the money! Gives a great low tone to the V6. Still have yet to see how much gains I’ve got before a tune, I imagine I’d get some before though. This is one awesome CAI. It definitely makes the car come alive and you hear it. It does exactly what Stephanie said it would do. Dropped my intake temps about 20-28 degrees and was very easy to install. Noticeable gains with the BAMA tune. Looks good, and fit perfectly. Noticeable sound difference, feels a whole lot better than that restrictive stock intake! It does feel better on take offs and it give your mustang a deeper tone when you hit the gas. Definitely recommend. Noticeable gains of 10-15 TQ and HP, I noticed these gains around 3-4k. It also helps add a deeper and more aggressive tone. Amazing how she responds now that she can breathe. Definitely deepened her growl too.